Now, I’m not a short-order chef when it comes to our family’s meals but I do try to accommodate her, when it makes sense and doesn’t require too much effort. After all this is the girl who is also a self-professed broccoli machine, loves meat/chicken/fish and drinks milk by the gallon. But seriously, an aversion to spherical fruits and vegetables? That’s just weird. I could write about how a nanosecond can shatter your self-confidence, rendering you emotionally and physically fragile. I could write about how I feel like puking at every intersection I encounter when driving. I could write about my stiff back and bruised clavicle. 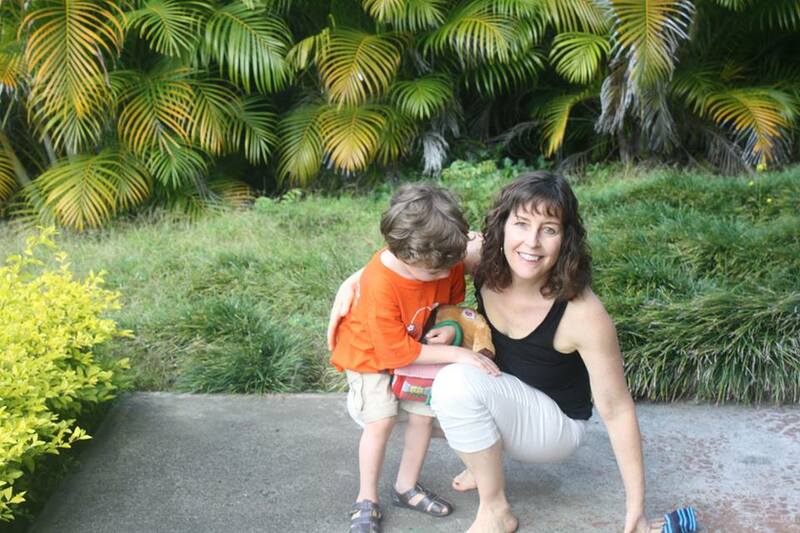 I could write about the depths of fear at the possibility of my kids being in harm’s way. And the goosebump-inducing, engulfing relief that they were not hurt. I could write about the bewildering amount of paperwork and phone calls associated with insurance and personal injury claims. Instead, I am going to write about what I can learn from how my kids’ have responded to and dealt with last Tuesday’s car crash, when we were T-boned at the traffic lights near our home. Everyone says that kids are resilient but seeing this in action is remarkable. Yes, there were screams and panic in the moment. Followed by tears and anxiety in the hours following. But there’s no evidence of trauma or emotional scarring. They accept what happened. They understand it’s not normal, that is was the exception, not the rule. They show no fear getting back in the car with me. They defend their Mother. They trust in me. As we drove our new car home last night from the dealership, my youngest said “It feels good to be in this car.” This, for me, was the most reassuring moment of the past seven days. I too must accept that what happened, and not judge or doubt myself. I must get over my fear. I must trust in me. On this day, seven years ago, you arrived – two weeks early. You’ve not been early for anything ever since. You are my funny girl, my ray of feisty sunshine, my karate ninja, my pop diva. You know your own mind & I love that. You are blissfully unaware of your beauty. Your exquisite almond eyes and deep red lips. You love love love your “rocky” music. And you move like Jagger. Your appetite has grown as your beautiful body (that I made) has lengthened & strengthened. But you still consume food molecule by molecule. Meatballs, Mac & cheese, milk and chocolate rule your world. You are a broccoli machine. But NO SAUCE. Sauce is evil. Your remain loyal to your main man Optimus Prime, but welcome his pals from Hero Factory, Lego Chima, and Ninjago. And Pokemon, of course. You still want to be vet when you grow up. Or a pop star. Or a normal person. You’ve mostly conquered your fear of new toilets. You still maintain a freakish mental database of everyone’s ages and birthdays. Most of all, you love to snuggle and give the tightest hugs! 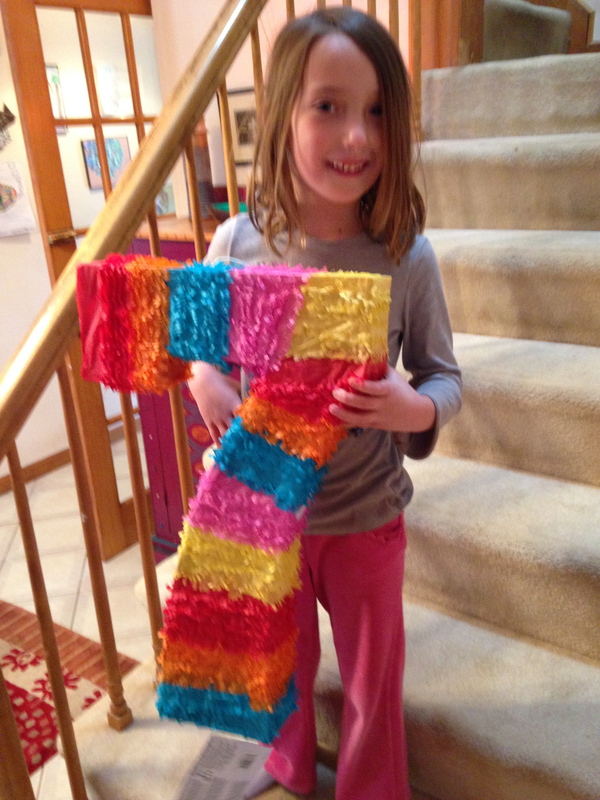 Happy 7th birthday, my T! I am not someone who loses things or leaves things behind. Over the years, I’ve known plenty of people who lose their car keys and such on a regular basis. At university, I lived with a girl who every day was in a panic about not being able to find something or other. Wed of last week: Drove to a meeting in town. Returned to parking garage to the realization that I had left my wallet at home. Fri of last week: Left my entire bag overnight at Dream Dinners. Yesterday morning: Left for gym in the morning without my water bottle. Yesterday afternoon: Left work without my laptop. Yesterday evening: Left a restaurant without my credit card or signing for the check. I worry about my sanity when these things happen as it’s so out of character for me. I’m well aware however that it’s a symptom of moving too fast and having too much in my head. And not enough sleep. According to this new article “I Refuse to Be Busy” in the New York Times’ Motherlode blog, being busy is a choice. I’m not completely sure that’s true or achievable, especially when you are a working parent. But one way or another, I need to tackle my busy work, busy home, busy head thing or else I will never find my marbles. Maybe I should start by trying to slow down and breathe. Breathing is good, right? When our Golden Retriever, Lucy, died suddenly a year ago, I was devastated. I couldn’t sleep or eat. Every part of my daily routine felt empty without her—walking in my neighborhood, shopping in a dog-friendly store, or playing with my son in the park. For my children, age 4, 14 and 24, Lucy’s passing was their first close experience with death. They looked to me to understand how to cope. My youngest, Michael, didn’t understand what death was. Again and again, I encouraged them to follow their grief, to avoid pushing it away, and to see where their feelings of sadness and vulnerability took them. I tried to model this philosophy—and hope, in doing so, I didn’t overwhelm them with my own sadness. I cried every day, talked about Lucy to my friends, and engaged in conversations with people on the street about dogs they had lost. Interestingly, my youngest, Michael, was most open to and accepting of my sadness. He listened to me, held my hand, and reminded me over and over that I had “three other babies,” (my three children). To him, Lucy was another one of my children. Our family’s efforts to cope with grief over the loss of “my other child” focused on art, writing and communicating with others. First, we gathered photos of Lucy and posted them on Facebook and talked about our loss. It was comforting to hear from all our dog-loving friends. Next, we created a few collages of Lucy, and hung them up in high-traffic areas of our house. We also organized a “Remembering Lucy” party. We invited our friends and people who had cared for Lucy over the years. I thought it was especially important for Michael’s preschool friends to attend this event because they had all played every day with her on the playground (She happily went down the slide with them, which endeared her to them). During the “Remembering Lucy” event, we shared stories about and photos of Lucy. I was touched by our friends’ and neighbors’ passion for dogs, and their comments about how much dogs give to them. Some of Michael’s friends spoke up, sharing stories about playing with her on the playground. And my 24-year-old son’s friends surprised me with their comments. One young man said he was always jealous of the fact that we had such a great dog. Another young man said that whenever he babysat Michael, Lucy guarded the two of them closely. I believe our “Remembering Lucy” event deepened my kids’ understanding of the gifts our “best friends” give us. It certainly strengthened mine. Following my grief also led me to write a children’s book, along with Michael, that stars Lucy. This helped us keep her alive in our hearts. Michael and I even started Skyping with classes globally, encouraging them to express their grief through writing and other art forms. “Follow your grief,” is the message we send over and over. We followed ours, and it led us to Skype with children from all over the world—kids who touch us daily with their emails, letters and enthusiasm for pets. Writing, organizing a Remembering Lucy party and Skyping with kids globally has impacted Michael the most. There’s only one way to deal with death, in his mind: Share your feelings publicly.